Although the barrage of international media coverage on Israel’s war on Gaza seems to have sloped off, more personal coverage has emerged. B’tselem, the Israeli Information Center for Human Rights in the Occupied Territories, started a project to give the people of Gaza an audible voice and a visible face. 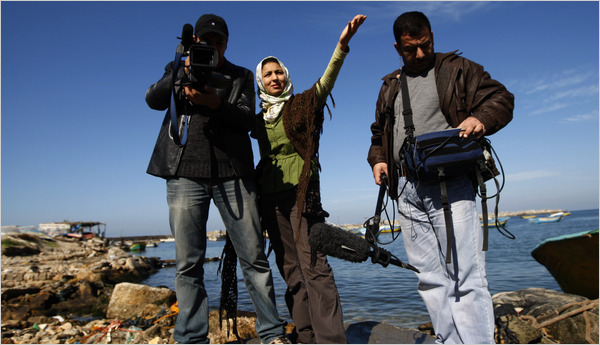 Naturally, the New York Times covered the project, in which 18 young Gaza refugees were given video cameras, instructor and web guidance to document their lives and situations since the war. The lilting, minor-key melody was hauntingly familiar in that way that Middle Eastern music often is. If the goal of this project is to show that there is not much difference between Palestinian and Israeli children, then they’ve certainly succeeded. Caroline Kessler, hailing from the not-so-charmed city of Baltimore, is an undergraduate at Carnegie Mellon University.